iLA S1 King Kong is an affordable smartphone that was released this January. The device offers great value for money and retails for a giveaway price on Gearbest. You can click the link below to order and have it delivered to you. The device is perfect for light users, packing the standard 2GB of RAM, 16GB storage space, sleek Metal body and a massive 5000mAh battery. Want to know more? Stay with me. 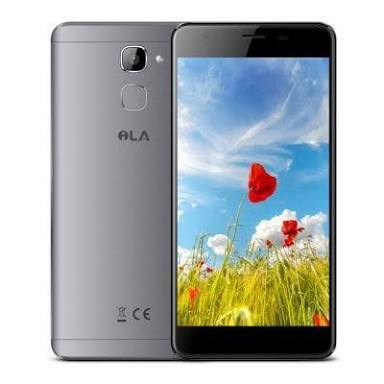 What is iLA S1 King Kong Price and Availability Status? One of the best looking budget smartphone you’ll ever come across. It’s metal overall unibody was designed to perfection giving a sleek and premium look. The symmetrical aesthetics at the rear is pretty simple. The camera comes first, followed by the fingerprint scanner underneath and the iLA logo. The dual antenna lines adds to the beauty of the device no doubt, you can get it in Gray and Black colors. Measuring 9.3mm in thickness and weighing 197g, the King Kong isn’t that heavy even with its massive battery. Look elsewhere if you are in search of a bezel-less display, the iLA S1 King Kong houses lots of bezels. Nonetheless, the narrow bezels are almost non-existent, while the top houses the usual features. The 5.5-inch FHD IPS capacitive touchscreen displays better than most smartphones in its price range. Boasting of a resolution 1920 x 1200 pixels and 401 pixel per inch density, offering sharp visuals and bringing your movies to life. Houses the MediaTek MT6737T chip with quad-core processor and 64-bit CPU architecture. The 4-cores of processor reaches a clock speed of 1.5GHz with 28nm process technology offering a smooth ride. Handling graphics is the ARM Mali-T720 MP2 graphics processor with 2-Cores, clocking at 600MHz. Handle heavy tasks and apps with 2GB of RAM with a memory speed of 733 MHz. For storing files and apps, 16GB is available to accommodate them all, you can upgrade up to 64GB as well. The iLA S1 King Kong runs on Android 7.0 Nougat operating system. The 13MP rear camera captures high resolution images of 4160 x 3120 pixels in dimension. Videos are not left out, record FHD high quality videos of 1080pixels at 30 frames per second. The camera comes with a LED flash and other features like autofocus, touch focus, Self-timer, Face Detection, ISO Setting, HDR, Panorama, Face Detection and others. While the 5MP selfie camera is perfect for selfies. Powering the iLA S1 King Kong is a 5000mAh non-removable Li-Po battery with no fast charging technology. Even without the fast charging feature, it shouldn’t take up to 3 hours to fully charge up the battery from 0% to 100%. The iLA S1 King Kong is available on Shopping stores from $99 (N30,000) to $149 (N40,000). Click on the links above to view the latest iLA S1 King Kong price & availability on Shopping stores.